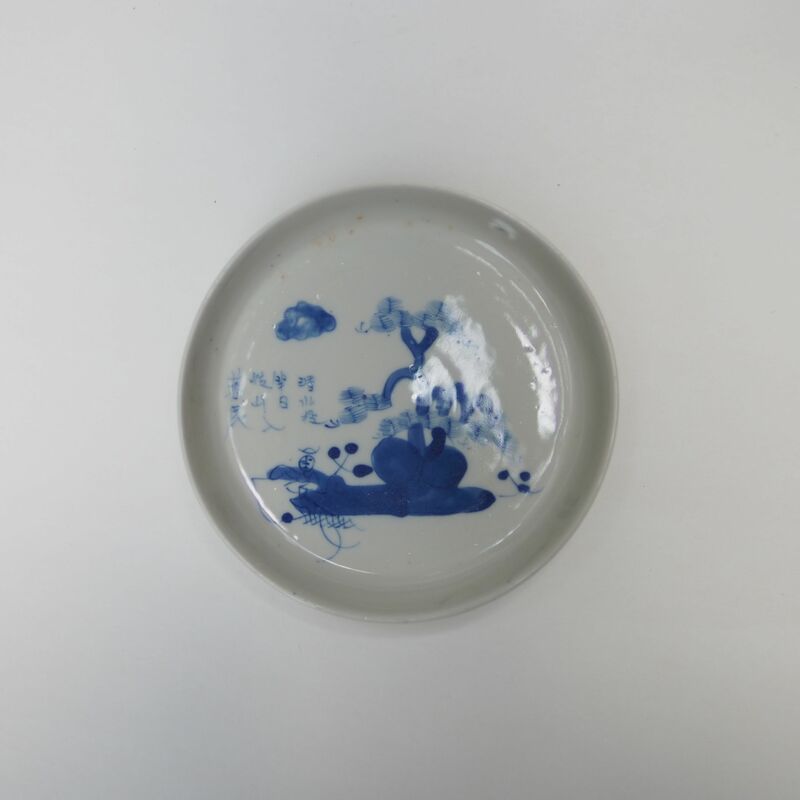 On this blue and white porcelain plate is a pine tree and a man fishing. This man is Jiang Zi Ya, a man who is famous for fishing with a straighten hook. This practice is not a new fishing method or something to do with humane way of fishing but an ideology of this special man. Fed up with the administration of the Emperor, Jiang retreated to a remote area where he began this special fishing practice. Under the clear water, everyone can see that the hook is straighten and thought that he is either stupid or lazy, but Jiang believe that if the fish is willing, it will come to him. And at this remote village, one day Wen came to him, from there Jiang assisted Wen become the new emperor of the Zhou Dynasty. And as for most hero in China, Jiang became a saint.